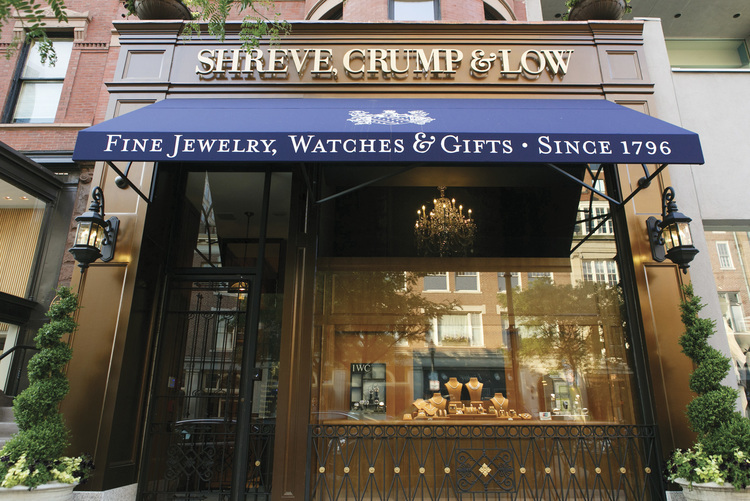 America’s oldest and finest jeweler, Shreve, Crump & Low, known as “The Gem of Boston” and in operation since 1796, is our Coast Diamond Featured Retailer. Watchmaker and silversmith John McFarlane opened his workshop at Downtown Crossing, across from Paul Revere – yes, that Paul Revere, who was a silversmith and a patriot in the American Revolution – and this prestigious jewelry store operated through the 1800s and transitioned to Shreve, Crump & Low in 1869. This venerable retailer was named “The Most Beautiful Store in America” in 1931 and today its three locations continue the legacy of offering impeccable customer service and exquisite collections of fine diamond jewelry, heirloom-quality engagement rings and wedding bands, and of course the most well-respected watch brands in the world. 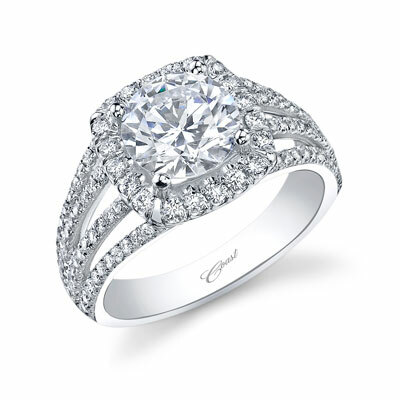 Coast Diamond engagement rings are a favorite designer line at Shreve, Crump & Low, with styles that appeal to high society and celebrity brides, as well as to couples with more modest budgets. Included in the Coast Diamond collections are romantic halo engagement rings, dramatic solitaires and magnificent diamond wedding bands. A few of the most popular styles include this stunning round solitaire diamond engagement ring with petite pave set diamonds forming “petals” around the center stone. This setting is created for a two carat round diamond, but is available for other carat weights and shapes as well. Visit Shreve, Crump & Low in Boston, Chestnut Hill or Greenwich, each a Coast Diamond authorized dealer, when you’re ready to begin your search for the perfect ring that beautifully represents your love. 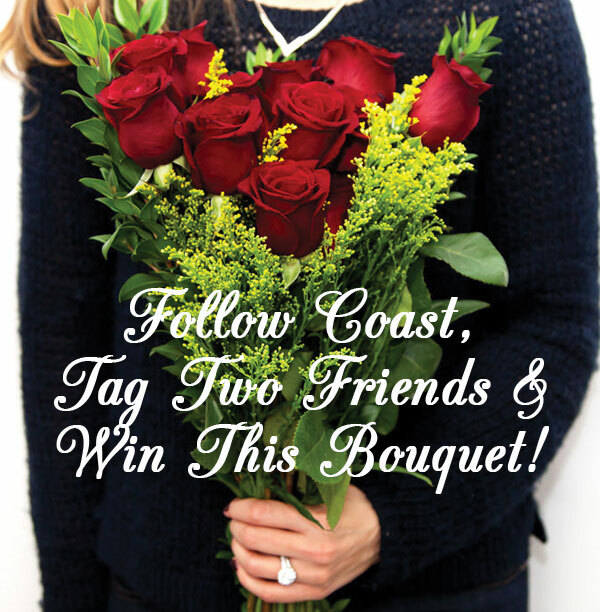 LOS ANGELES, Jan. 27, 2015 /PRNewswire-iReach/ — Award-winning engagement ring and jewelry designer Coast Diamond, with headquarters in Southern California and over 700 authorized dealers across the U.S. and Canada, announced the Most Romantic Engagement Rings for Valentine’s Day 2015. 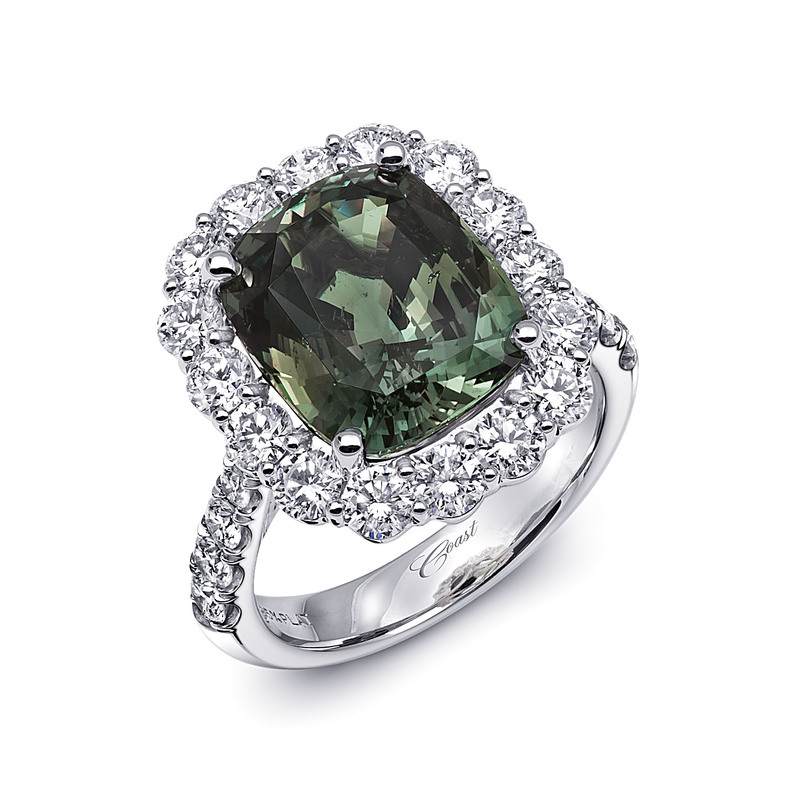 Included in the collection is a rare 8.29-carat green unheated alexandrite set in platinum and a halo of diamonds. While the average amount spent for a typical Valentine’s Day gift is approximately $130, the 220,000 who plan to pop the question on February 14 will spend an average of $4,500 on a diamond engagement ring. Coast Diamond, one of the bridal industry’s leading designers of exquisite engagement rings and wedding bands, offers popular ring styles that start at $1,200 as well as settings with rare gemstones and diamonds valued at $250,000. 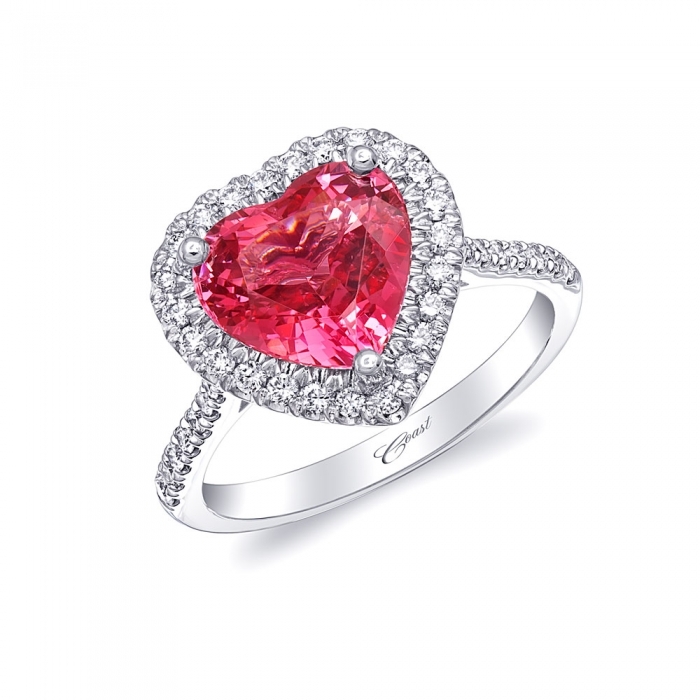 The Most Romantic Engagement Rings for 2015 are guaranteed to make the recipient’s heart beat a little faster and put the largest box of gourmet chocolates to shame this Valentine’s Day. 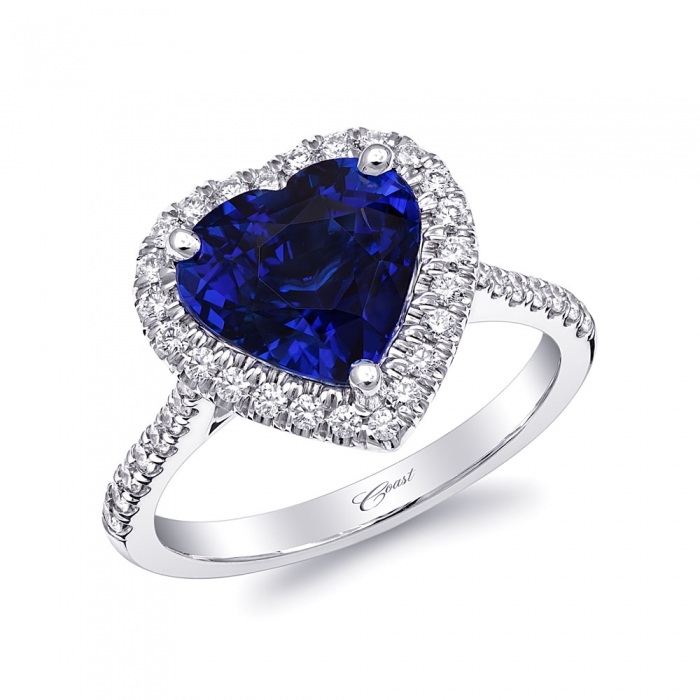 There is a rare 3.90-carat vibrant heart-shaped pink spinel, set in a halo of diamonds and named “Best Platinum Design – Centurion 2014,” and for anyone who loves the royal ring worn by Kate Middleton but desires a unique shape will adore the 4.16-carat blue heart-shaped sapphire, also set in a halo and surrounded by diamonds. A precious 5.04-carat pink sapphire stars in a gorgeous precious platinum engagement ring, flanked by two moon cut diamonds. Retail value on this statement of love is $41,400. What’s better than a dozen roses on Valentine’s Day? A gorgeous floral engagement ring from the Coast Diamond Charisma Collection that features a brilliant round 1.5 carat center diamond, surrounded by petals of diamonds and a split diamond shank. The ultimate engagement ring this Valentine’s Day is likely to make friends green with envy, and might even put the wearer on the cover of People Magazine. (A very famous actress who stars in a popular prime-time TV show recently tweeted that she loved this particular ring.) This extraordinary one-of-a-kind ring features an 8.29-carat unheated gorgeous green Alexandrite, set in platinum and surrounded by brilliant diamonds. If this glamorous ring, valued at $249,200, isn’t part of a surprise marriage proposal on February 14th, it will likely be seen on a celebrity at the Oscars later in the month. For additional information on Coast Diamond, like us on Facebook® at www.facebook.com/CoastJewelry, follow us on Twitter®, pin your favorite rings on Pinterest® at http://www.pinterest.com/coastdiamond and follow our Love, Coast blog. Valentine’s Day is less than three weeks away! Do you suspect Cupid has something other than a dozen roses and a box of Godiva or Sees chocolates planned? 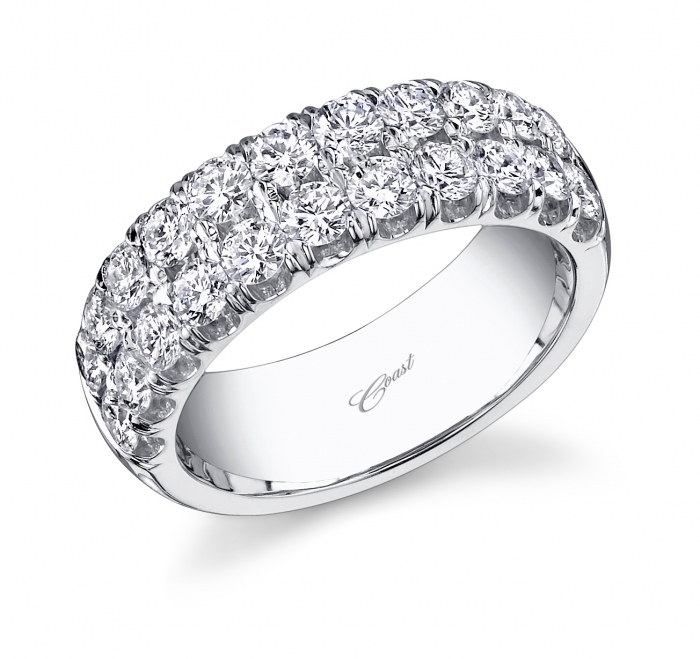 Perhaps, just maybe, the most romantic gift of all is coming your way this year: a Coast Diamond engagement ring. We’re all for surprise marriage proposals, but it is perfectly acceptable to drop hints to your significant other about the ring style. In fact, experts encourage couples to shop for the ring together to ensure the engagement ring you receive is the one you really love and will want to wear forever. 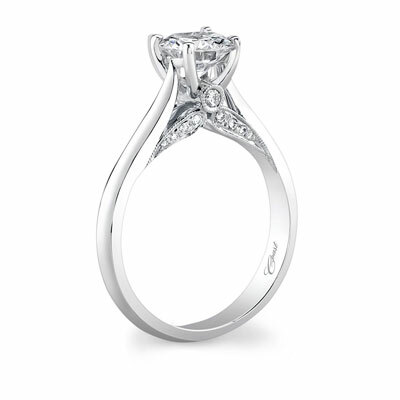 Find this gorgeous ring, and other lovely Coast Diamond engagement rings, anniversary bands and jewelry from our Signature Color Collection at your local jewelry store. You’ve got 20 days until February 14th, which is the perfect day to pop the question! Not many jewelry stores, or companies in any other industry for that matter, can boast of four generations carrying on an unparalleled legacy. However, there is a wonderful retailer in Portland, Oregon that has been in operation as a family-owned and operated business since 1910: LaRog Brothers of Portland, OR, a full-service jewelry store that is our Coast Diamond Featured Retailer. Founded by hardworking Russian immigrant Samuel Mazurosky back in 1896, the family’s first small store opened in 1910 in Northwest Portland. Samuel was known for his honesty and outstanding customer service, and as his clientele grew he relocated to a larger store in downtown Portland. The store continued to prosper for over three decades under the leadership of the second and third generations. 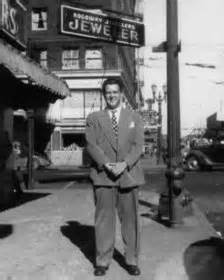 In 1946, Sam Rogoway relocated the business to 82nd and Foster in Southeast Portland and gave it the new name of LaRog Jewelers – a combination of Sam’s last name and his wife’s first name. 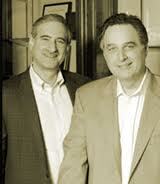 In 1960 Stan Rogoway, Sam’s brother, took over the business, and today Stan’s two sons, Rick and Dave Rogoway, lead not one but two iconic LaRog locations. Their jewelry expertise, diamond knowledge and incredible customer service are the reason couples in the Portland area shop at LaRog Brothers to find the perfect Coast Diamond engagement rings and wedding bands. 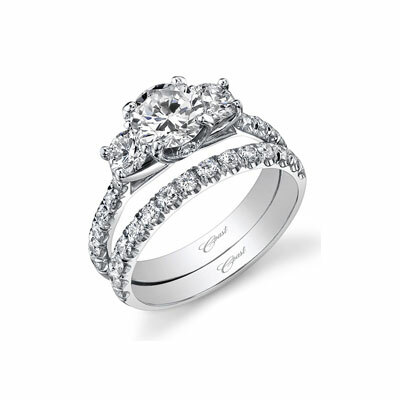 Find the Coast Diamond engagement ring of your dreams at authorized jeweler LaRog Brothers in Portland, Oregon. Visit their store on the Westside at the corner of SW Hall and Greenburg, near Washington Square, or on the Eastside at Sunnybrook Center, across from the Clackamas Costco. Congratulations to Rick and Dave Rogoway, and the entire LaRog team, on all of your accomplishments and being named our Coast Diamond Featured Retailer!